Wow, the end of 2012 snuck up from behind, didn't it? The annual "year in photos" post is one of my favorite to make, but this one is a bit more thrown together than years past. Still, it is fun to view the fading year through the lens of a single favorite photo for every month. I have a lot of favorites from this year, so it was hard to pick only one — especially when it meant choosing between different amazing places that I was fortunate to visit during this full year. 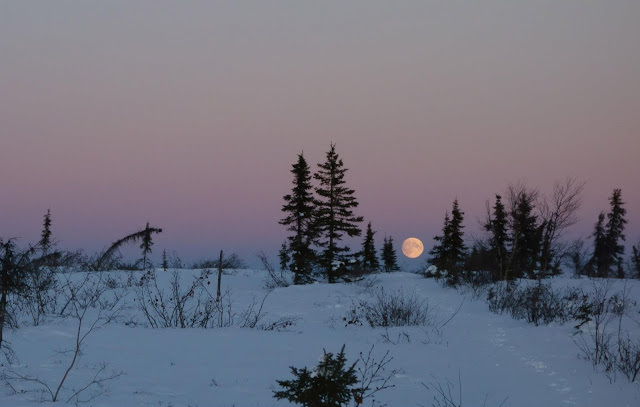 I took the above photo in early January near Shell Lake, Alaska. Beat and I were killing time while waiting for a plane to pick us up, and went for a walk across the lake. It was 25 below zero, and an ice fog had just lifted off the lake an hour before the sun set. The air was so clear that we could see individual flakes of frost sparkling in the distance. 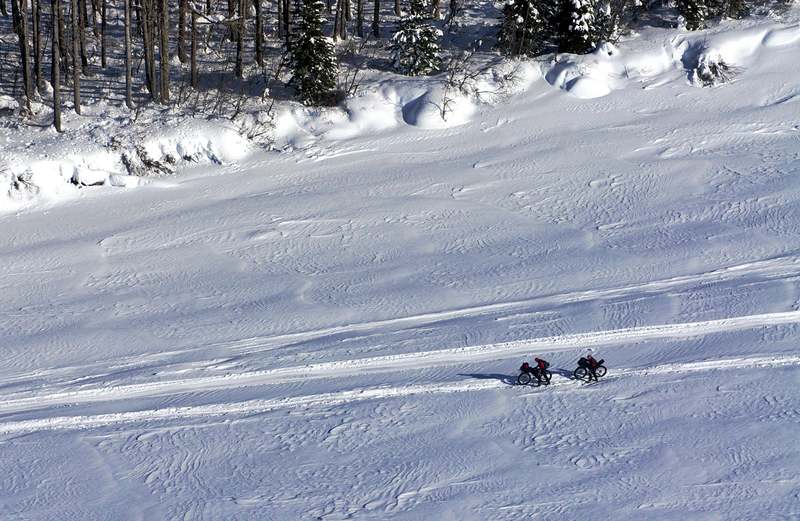 February: Two cyclists push their bikes up the Yentna River on the second day of the Iditarod Trail Invitational. My pilot friend Dan Bailey and I flew over the river to look for Beat and cheer for racers as they slogged their way through fresh snow on the ice. Although it's impossible to convey the scale of the Iditarod Trail with any photo, I like the effect of this image — tiny snow bikers, a thin white line, and a wild expanse. 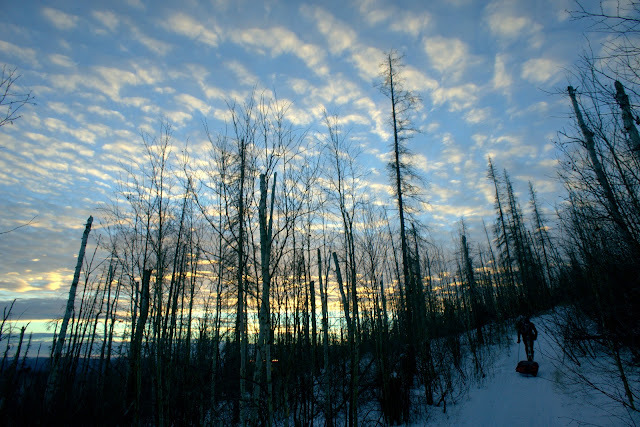 March: A winter trail cuts through a burn in the foothills of the White Mountains north of Fairbanks, Alaska. I love stark black-and-white effects in real life, which is one of the reasons I'm so drawn to these winter landscapes. 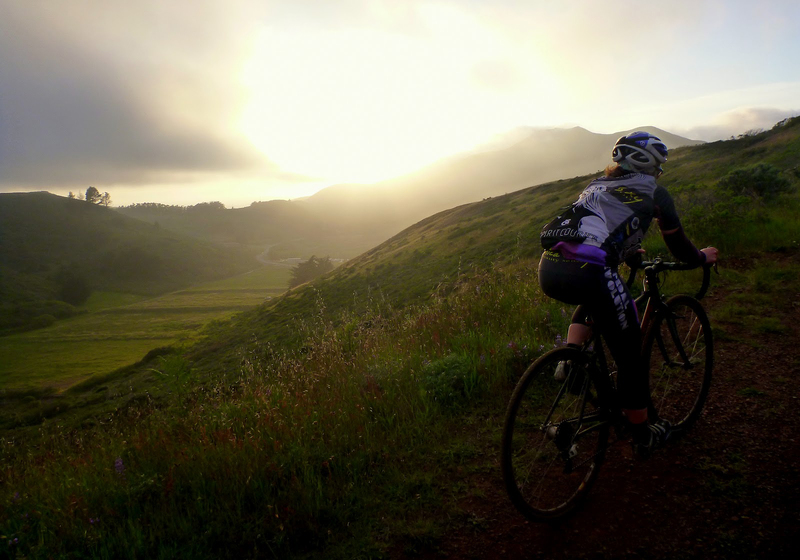 April: Evening ride with Leah above Rodeo Valley, in the Marin Headlands north of San Francisco. Leah calls the Headlands "magical" and I'm inclined to agree. For a place so close to civilization, these hills offer a quiet respite to go along with punishing climbs and ripping descents. May: Beat runs along a trail in Point Reyes, California. Life in California has renewed my appreciation of the Pacific Coast. The sparkling ocean instills the same kind of awe I feel when I look at big mountains. 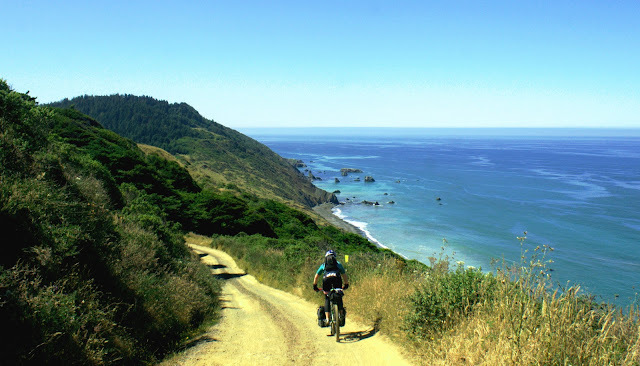 June: Leah rides down Usal Road during our Lost Coast bike tour in northern California. What a great tour this was. In five days, we traveled some of the most remote and stunning terrain that coastal California has to offer. 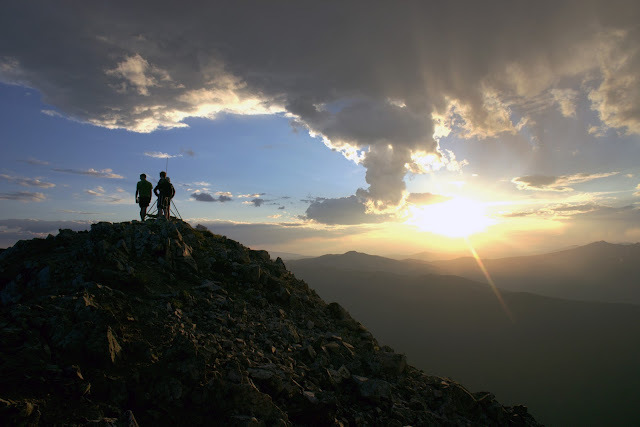 July: Friends stand on the summit of Peak One in the Tenmile Range outside Frisco, Colorado. Our friend Daniel lives in an enviable location where one can walk out of his front door and in less than two hours climb to this spot, where we watched the sunset from nearly 13,000 feet. 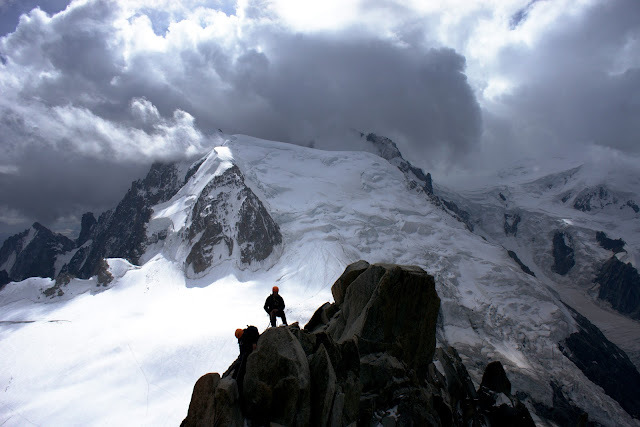 August: My favorite photo of the year — the formidable Mont Blanc, as seen from 12,600 feet at the Aiguille di Midi station on the border of Italy and France. The day before the Ultra Trail du Mont Blanc, my friends Martina, Sandra, and I spent the whole day riding gondolas and trains to various high points around Chamonix. 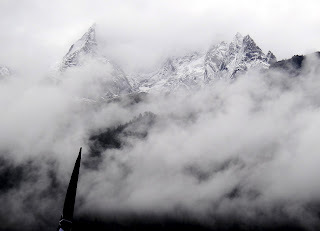 At the time, I still believed I'd was going to circumnavigate Mont Blanc during UTMB, and took several minutes to stand outside in the subfreezing cold and soak in the scale of this incredible mountain. September: A couple of weeks after the last photo was taken, while Beat was racing the Tor des Geants in Italy, I embarked on a string of incredible day hikes above the Aosta Valley. 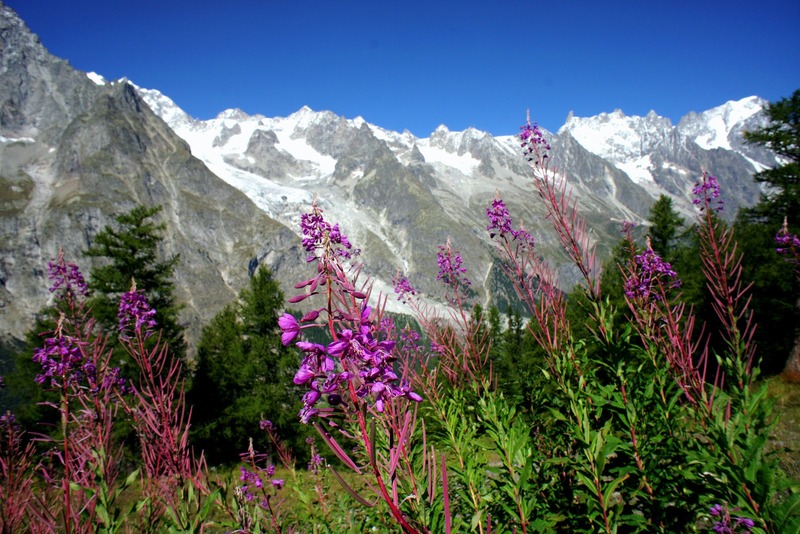 I took this photo from the original UTMB route — the Tour du Mont Blanc trail — outside Courmayeur. I've fallen in love with the Alps, in a way that might get me into a lot of trouble in 2013 (more on that soon.) But for now, I can look at photos from innocent times and feel happy. October: This month was a difficult one to narrow down because it was full of beautiful adventures, but I decided on a photo of the Utah desert. 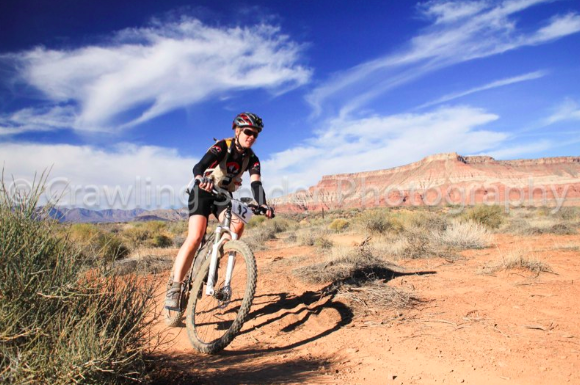 I shot this photo during a bike ride on the Kokopelli Trail above Onion Creek Valley, north of Moab, Utah. 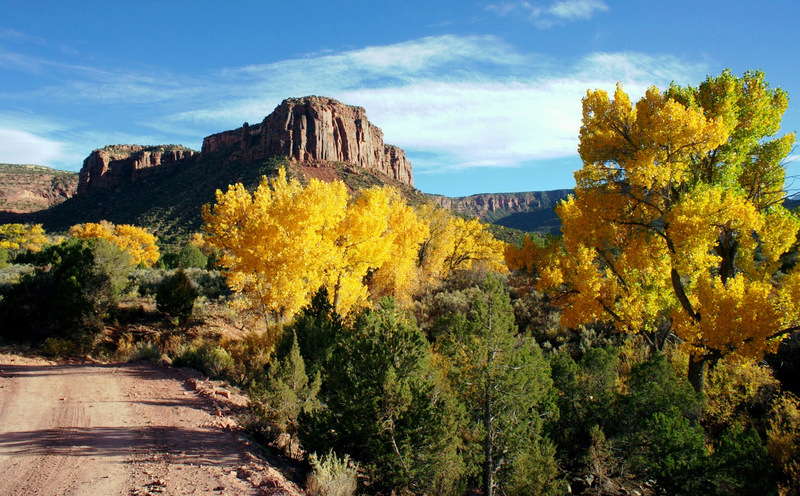 I managed to time my autumn travels perfectly with fall colors — late September in Northern Utah, October in the high desert, and November in Southwestern Utah. 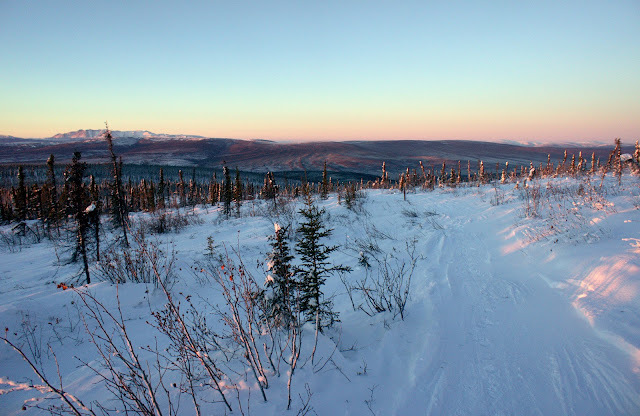 December: Here's a photo I took today, December 29, in Fairbanks, Alaska. Originally I picked a photo of a mist-shrouded Golden Gate Bridge, but I am a sucker for Alaska winter shots. I've been able to embark on some beautiful snow bike rides while visiting Fairbanks, and today's ride took me onto a fun loop of narrow winter trails in the Goldstream Valley. 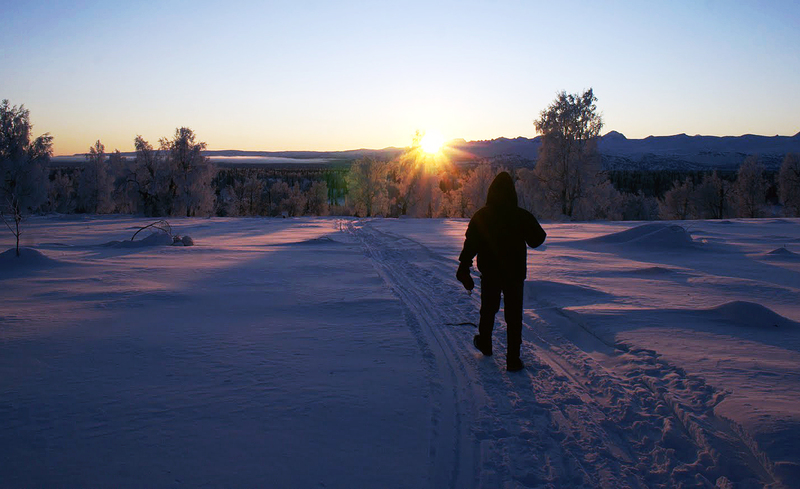 After winding through the trees, I came out into a frozen swamp where I caught my first glimpse of the hills, painted bright red by the glow of the low-angle sunlight. It was a stunning contrast. 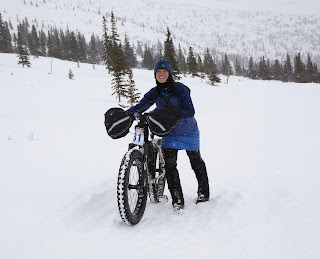 I'll post more snow-biking photos soon. Until then, Happy New Year. Thanks for reading. While enjoying Christmas Eve pizza with friends here in Fairbanks, our friend Ed told us about one of his favorite holiday destinations, Tolovana Hot Springs. 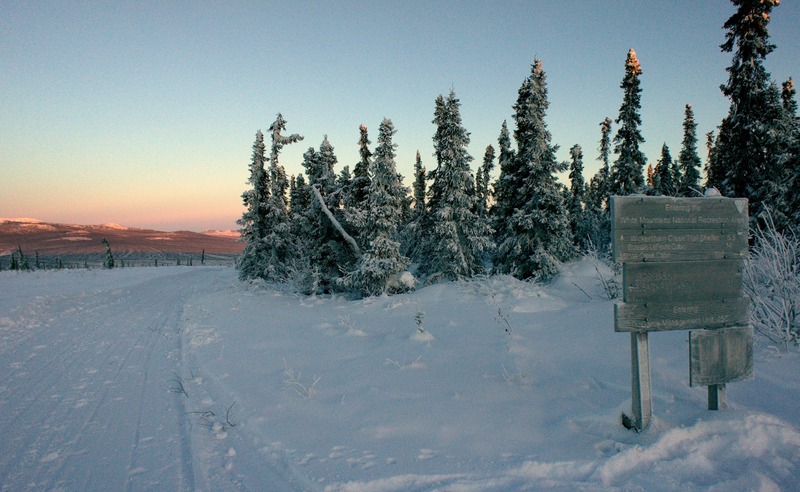 The backcountry springs are a challenge to access — 45 miles northwest of Fairbanks as a raven flies, and for humans, eleven miles of rugged trail after a two-hour drive to a remote point on the Elliot Highway. Those who make the beautiful journey up and over Tolovana Hot Springs Dome are rewarded with board game-stocked cabins and access to natural springs that run hot even when it's 30 below. It sounded heavenly, but Ed offered a caveat — his winter trips are almost never without mishaps. 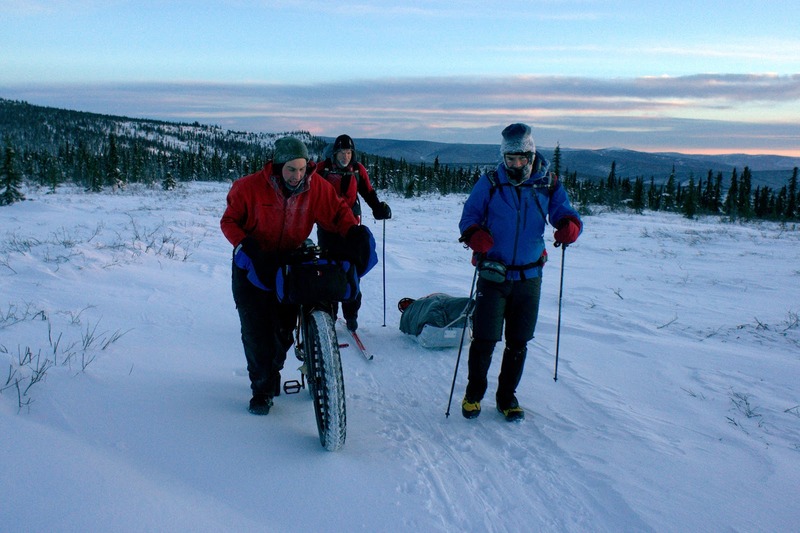 Usually the mishaps involved difficulties starting cars after the long ski out when the wind was fierce and temperatures were minus a lot. Once, somebody brought a pot of moose chili that was not properly food handled, resulting in a "vomitorium" full of food-poisoned people. 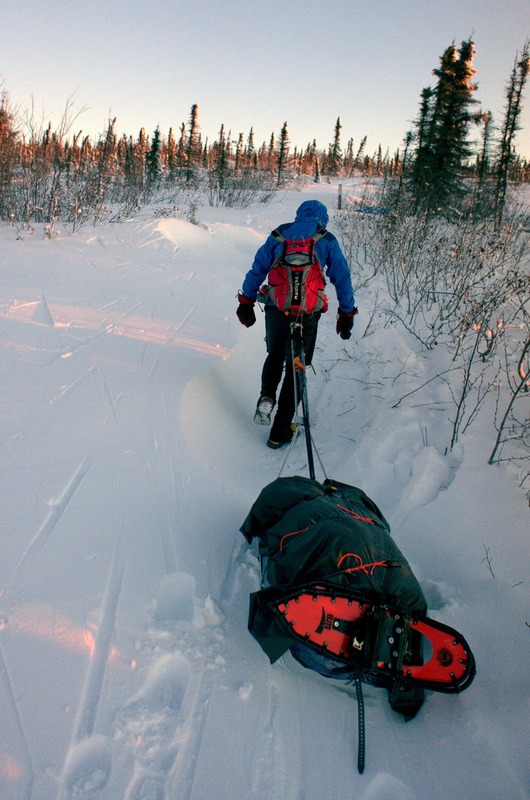 One guy was so sick that his friend had to tow him out in a sled, on foot. 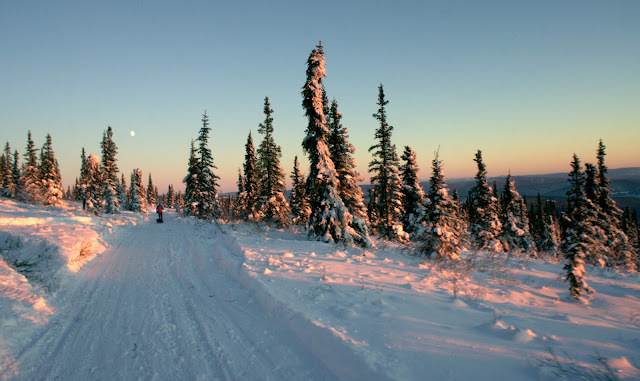 Still, Ed lamented that he couldn't visit Tolovana this winter because was spending New Year's in Juneau. But as we considered it further, a few of us wondered — why not plan a last-minute Boxing Day trip? We gathered a group of five — me, Beat, Ed, Tom, and Trevor — a former Fairbanks resident who is visiting from Washington, D.C. — and reserved one of the cabins for Wednesday night. Ed promised to make a special dinner and I was excited to see what it felt like to sit in a hot spring in potentially sub-zero weather. 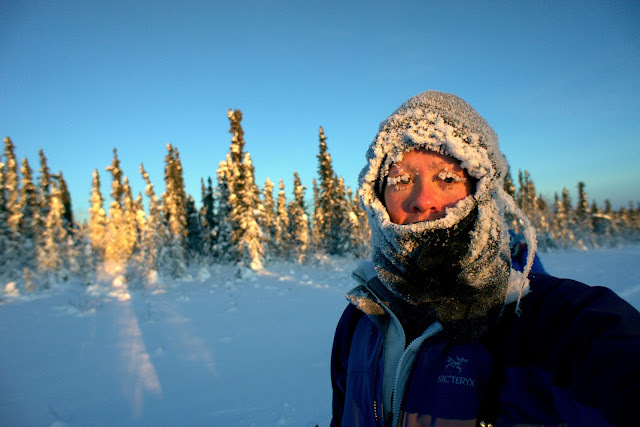 I secretly hoped it would be minus 20 or lower so I could freeze my wet hair into a white cone hat, but then I remembered Ed's stories about frigid trailheads and frostbite, and took heart in a forecast that called for "mild" temperatures near zero. The trail into Tolovana Hot Springs is interesting, in that it draws the straightest line it can to the closest point on the highway. This would be ideal for human-powdered travel, were it not for the 2,120-foot mountain in the way. The result is strenuous climbs and technical descents for skiers, but I thought the hike in would still be relatively mellow. And hey, we get to climb a mountain. Again, I underestimate sled dragging. 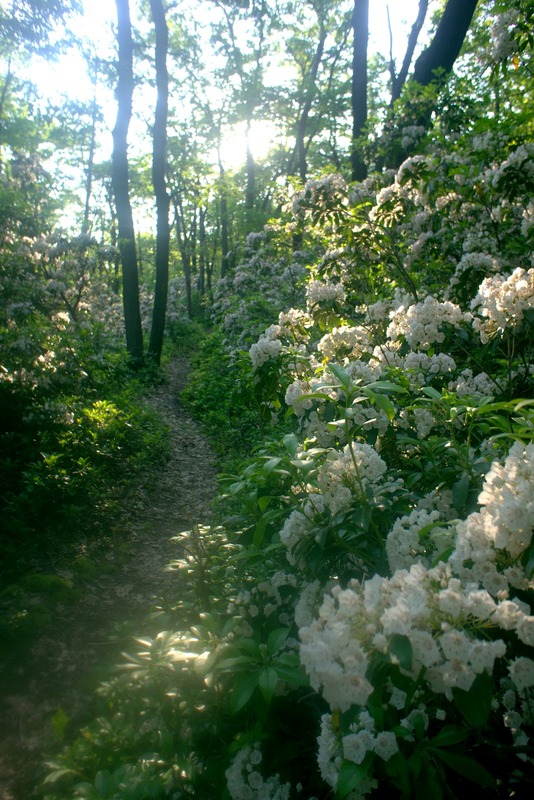 We enjoyed a two-mile fast run from the high ridge where the trailhead is located to a low-lying valley. At the bottom, I noticed all kinds of nagging pains from our White Mountains sled-dragging trip, further solidifying my conviction that to be in shape for winter-specific activities, you actually have to engage in winter-specific activities. Beat is much better at adapting to new physical strains than I am, but I struggled to pull with my tight hamstrings and sore lower back. Since we were in the back of our group, Beat didn't want to leave me behind, but it was clear he was exasperated by how slow I was moving. In this photo, you can see I am about to get in trouble because I am wasting time by pulling my camera out to take a photo. The problem was that Beat would become too chilled when he stopped to wait for me, and I was being honest when I told him I was working as hard as I could. After we gained the ridge at a saddle appropriately named Windy Gap, we entered a mile-long section of deep, drifted snow. 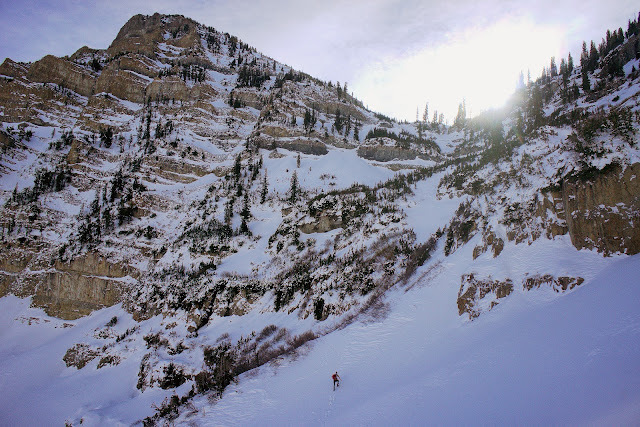 Of course the skiers just glided over this stretch, but we were bogged down by punchy powder that ranged from shin- to thigh-deep. To make things worse, I was dragging the sled that sits atop two skis, so it tipped over whenever it went even slightly off-camber. 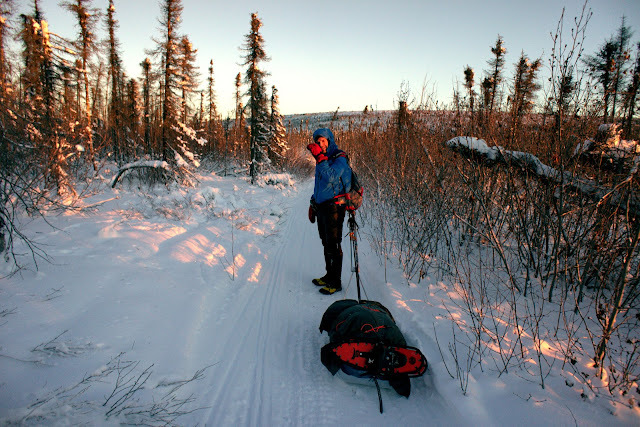 Every time it flopped on its side, I had to detach my harness, grab the metal frame with my bare hands (since I use trekking pole pogies, I don't usually wear gloves), and hoist the 35-pound sled back onto its skis. After five or six repetitions of this, I finally gave up on putting the harness back on, and just lifted and carried the sled or dragged the metal pole with my hands, still bare, because I was frustrated and too hurried to stop and put on gloves. The battle with my sled through thigh-deep drifts was a fully anaerobic effort. I gasped and sputtered and pulled my balaclava down to take deep breaths of the frigid air. Whenever I force my body into intense efforts in cold temperatures, an instinctual kind of fear creeps in — subconscious, most likely, but acute to the point of mild panic ... "You're sweating too much! You're burning all of your matches! You'll never make it out alive!" The logical side of my brain fought this overreaching fear, because I had no choice but to torch energy reserves just to get my sled over some of the drifts. Still, the effort finally pushed me to the point where I had to kneel in the snow, convinced I was about to vomit. It was a mighty struggle that I endured alone, mainly because I was the weakest member of the group. Beat didn't have nearly as hard of a time getting his sled up the mountain. When I finally reached the top of the dome, I expected him to be angry with me for dawdling, even though I had been maxed out for thirty minutes. 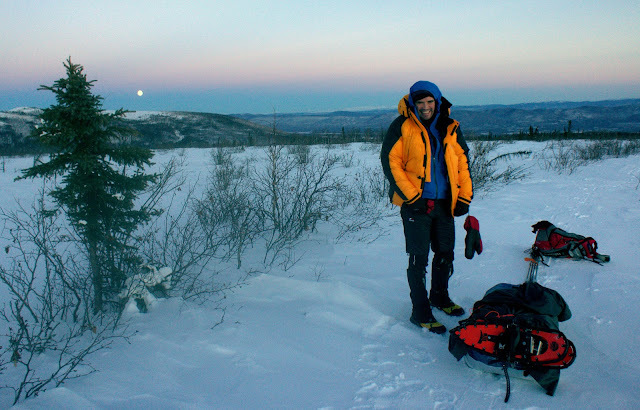 Instead, I found him happy with his down coat on, watching the moon rise over the mountains. Beat took a fantastic shot of the moon rising over the trail while he waited for me. I was shattered by the time I reached the cabin. Beat had been able to run most of the way down the dome, but I could only manage a half-hearted shuffle. I couldn't even join the guys for the first soak of the evening because I had to huddle next to the stove, drink hot cocoa, and shiver my way to recovery. My body temperature had dropped during the descent, because after I burned up my energy reserves on the climb, my body stopped making heat. I knew I needed to eat a candy bar to stop this from happening, but I was still nauseated from the hard effort. If I hadn't been so close to a cabin, I would have stopped and put on my down coat and dealt with it right away. 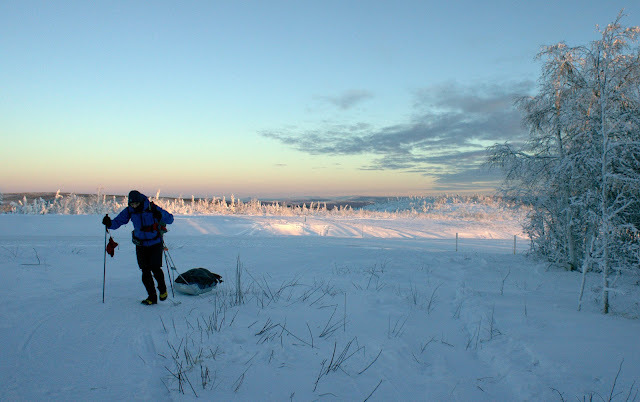 Instead, I just slogged along until I reached the cabin, and by then I was deeply bonked, and thus deeply cold. Really, for an eleven-mile pleasure trip it's embarrassing, but the hike into Tolovana Hot Springs turned out to be quite the epic for me ... and only me. The guys came back to the cabin about an hour later, and by then I was a little less shivery and more coherent. Ed's special dinner was three frozen pizzas that everyone was quite excited about. 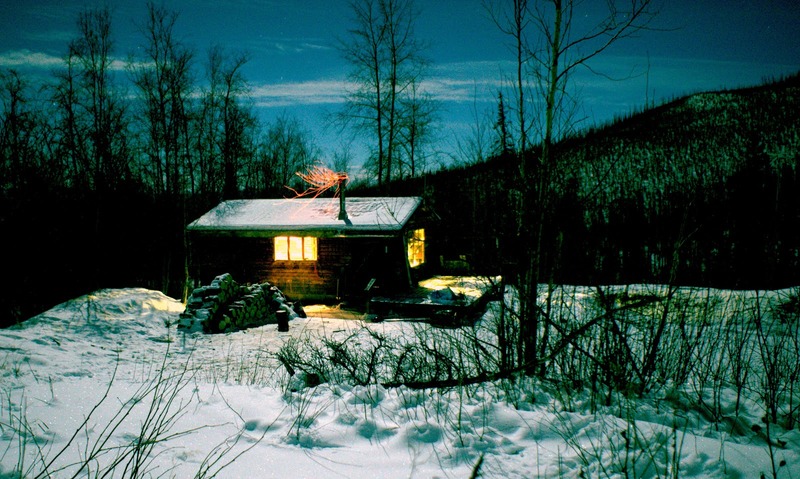 These cabins are privately owned and equipped with a source of electricity, so there's a cooking stove and LED lamps. It's quite the luxury. While the group played Scrabble, there was a cooking mishap and two of the pizzas ended up on the floor. We were in the middle of nowhere so we ate them anyway, minus most of the toppings, while joking about rat feces and "floor-tossed pizza." Still, based on Ed's stories, if that's the biggest mishap of the trip, I'll take it. 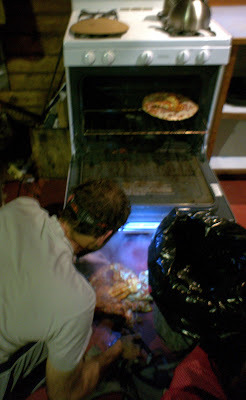 Ed salvaged the pizza disaster with two dozen fresh-baked cookies and a pint of ice cream. All was forgotten amid the satisfying sugar rush. 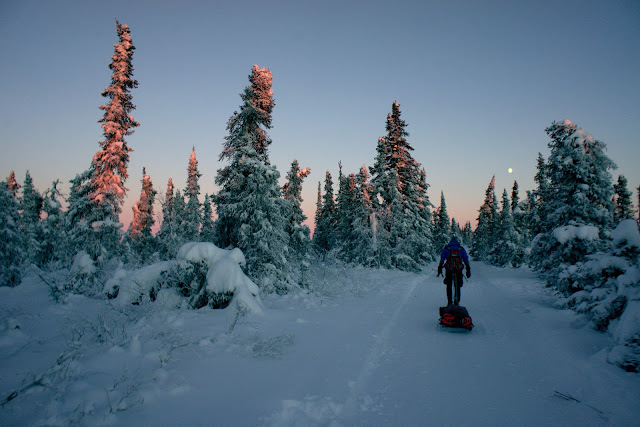 We went out after dinner for a moonlight soak, with the temperature at a balmy 6 degrees above zero. So not cold enough to freeze my hair standing up, but still icy. The springs were blissfully warm — funneled into three tubs set on platforms above a gurgling creek. On a dare, Beat, Ed and Tom ran naked and barefoot from the middle tub to the lower tub, a trip of at least a hundred meters on packed snow. The nearly full moon was so bright that the snow-covered mountainside looked like a bluer shade of day. It was heavenly. The hike out was much easier, at least for me, even though that direction had about a thousand more feet of elevation gain. 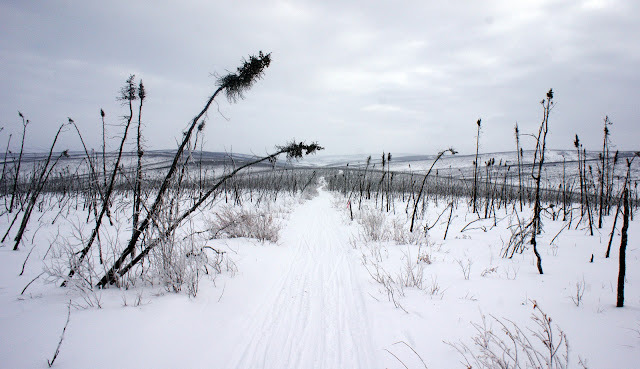 The trail had been smoothed over by two snowmobiles, and the worst drifts were on the downslope, where gravity made off-trail travel more manageable. At the summit, I stopped to help a guy whose snowmobile broke down the night before. He was traveling to one of the cabins with his wife and two children, towing a big sled, when the clutch gave out near the summit. The poor guy had to help his family walk four miles into the cabin, and then hike out the next day by himself to get assistance. I was able to grab a few bars on my cell phone at the top of the dome, so I waited to see if he could make a call, but it didn't go through. 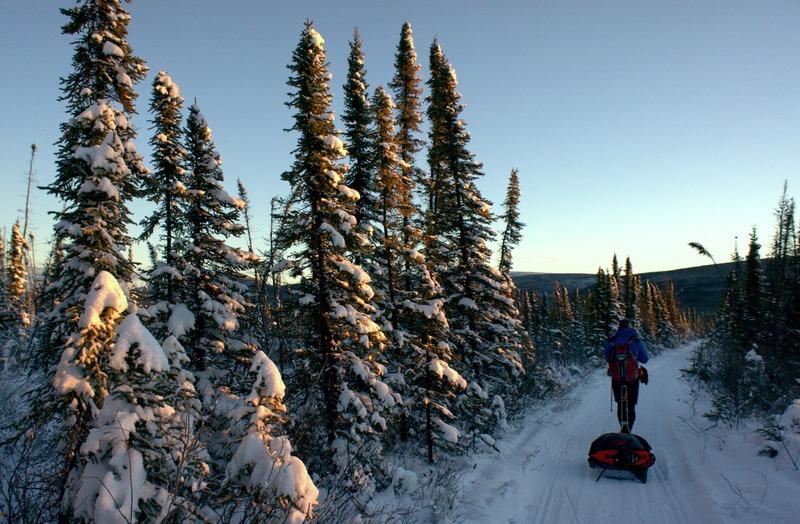 There is something to be said about the self-reliance of human-powered travel. Machines can become big liabilities when they break down. Of course, I was plenty grateful when I arrived at the trailhead to find the truck had fired up, no problem. It was a great trip without major mishap, a Boxing Day miracle. 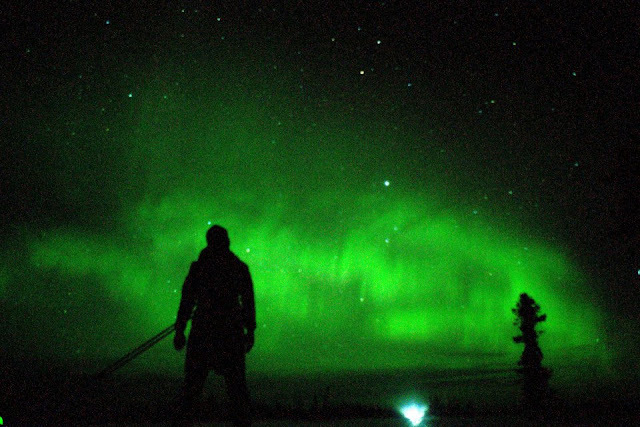 "It's like landing on an alien planet," Beat said as the plane approached Fairbanks. 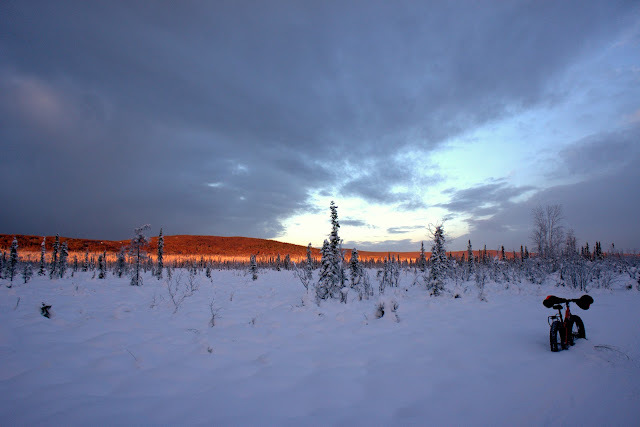 Below us was a swirling pattern of white swamps, black ice, and skinny spruce trees sticking out of the ground like skewers. As the island of artificial light grew closer, a yellow glow illuminated motionless wisps of water vapor. The Alaskan sitting next to us showed us his phone — current temperature, 39 below zero. "But it's a dry cold," he grinned. Much of my time in Alaska has been spent near the coast, so most of my extreme cold experiences have been accompanied by wind. I stepped outside of the airport expecting a shocking furnace blast of air that was a hundred degrees colder than the place I left eight hours earlier. Instead, the air sat still and lifeless, like a tomb. "It doesn't feel that cold," I thought. Five seconds later, my nostrils froze shut. 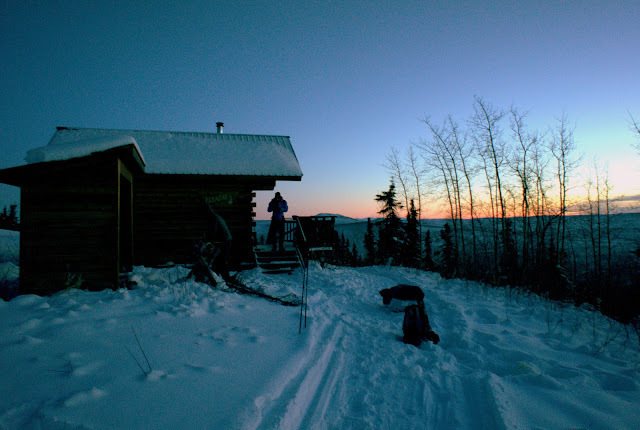 We were happy to receive an invite to a cabin in the White Mountains on Sunday, but the short notice required a quick turnover to unpack three large duffels and organize everything we needed to survive a night in the Alaskan wilderness at 40 below. Important necessities included food and fuel, so first thing in the dark morning, I set to the task of starting the truck. Our friend who owns the place where we are staying is out of town, so his truck had been sitting for more than a week. I chipped hard ice off the windshield while his roommate blasted the alternator with a hot air gun. Unplug the engine block heater, jump into the cab, and crank the starter. Rrrr, rrr, rrr. After a minute the engine grumpily fired up, and continued to whine as the truck crept down the snow-packed road. It didn't seem to want to go faster than twenty miles an hour, which was just as well, because the brakes weren't really catching, either. By the time I got to Fred Meyer, my feet were frozen. I walked through the store with tears in my eyes as painful tingling brought them back to life, and passed casually dressed shoppers with a kind of rapt fascination. Day-to-day life seems so hard here. How do they do it? Our gear was still the better part of a junk show at the Wickersham Dome trailhead, where a fierce wind blew along the ridge and the sun was sinking into the southern horizon at 1:30 p.m. Our group was small but eclectic — Tom was on skis, Jay was on a fatbike, and Beat and I were on foot dragging very large sleds. 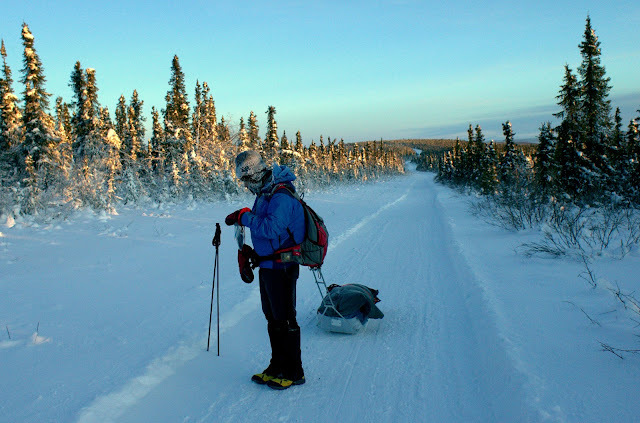 Beat was taking a nearly full Nome load for practice with the weight and also to test out a bunch of his gear. I took just about the same amount of stuff because I always partially believe I'm going to die out in these frozen expanses. 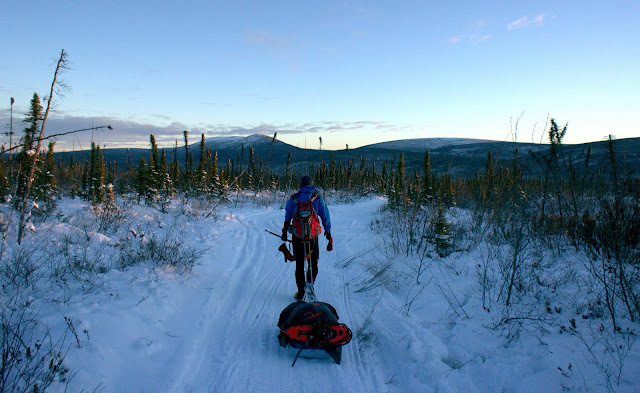 Tom and Jay started down the trail as Beat and I futzed with gear, tying snowshoes on the back of the sleds, pulling gaiters over our feet, and becoming more and more chilled with adjustments we didn't have time to make back in Fairbanks. Finally, just before 2 p.m., we were on our way. First winter trip of the year is hard. First winter trip of the year in deeply subzero windchill is a cold shock. We didn't know what to expect so we just picked a system and hoped it was somewhere close to appropriate. A strenuous hike up the dome cranked up the heat quickly, and I believed I was overdressed. But then a wind gust would whip around a corner, and I'd question the comfort of taking off a layer. I opened zippers to vent heat, and zipped them up in quick succession, again and again. The wind became constant at the spine of the rolling ridge, and Beat suggested we try running. Every time I become overconfident about my strength as a runner, all I need to do is try to run while dragging a sled to be humbled by the reality that I am not strong. My lungs burned as I pumped my arms and legs like a body builder trying to pull a semi-truck. I felt like I was running hard, but watching Beat gain more distance on me made me aware that I was probably not moving any faster than I had been when I was hiking. The cold wind seemed to be laughing at me, tossing icy powder at my face. The first few miles were tough, and I think even Beat felt a bit unnerved by the demands of this relatively small distance. But as the last pink light faded into a clear view of the distant Alaska Range, we started to find a groove. Our trail-running-trained bodies adjusted to the slower, softer surface, and well-heated cores finally started to share the warmth with our fingers and faces. By the time we were running, slowly, down the steep face of the Wickersham Wall, I felt alright. The long twilight faded almost imperceptibly into bright moonlight. 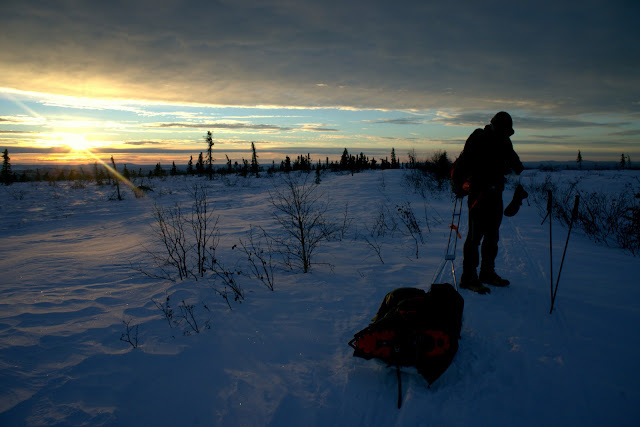 I didn't turn on my headlamp once, even though we were out for three hours after the sun set. The hike by moonlight was beautiful, with an otherworldly silvery glow outlining stark shadows. Despite cramped glutes and tired legs, I wanted to keep walking, and was almost disappointed to see the soft glow of windows in Eleazar's cabin at the top of a long climb, twelve miles and four hours in. Breakfast was bagels and instant coffee, and we were out the door at first light on Christmas Eve, just before 10 a.m. We moved purposefully in an attempt to not be the last ones back at the trailhead. The cold snap was starting to break and the wind had dissipated, but the morning felt colder than the evening before. Temperatures in the low-lying valley were still well into the minus twenties, and the climb back up to the ridge didn't do much to break the chill. Still, I was feeling stronger than the day before, finally breaking into my trekking groove. Beat had dressed lighter for the daytime hike out, and was having a hard time staying warm. It kept us moving at a good clip, even though my hammies and glutes protested mightily. The low-angle sun cast orange and pink light throughout the short day, a palette of continuously warm light to contrast the cold hues of the landscape. In my opinion, four hours of light this stunning more than balances out twenty hours of darkness. 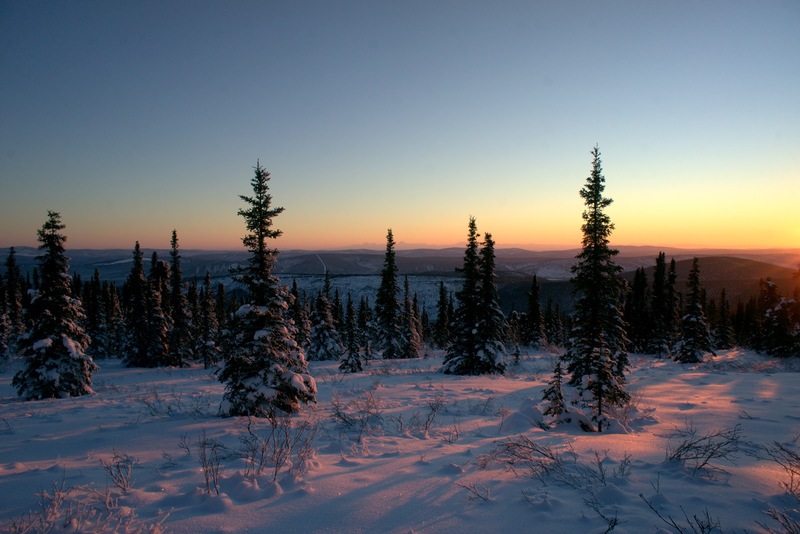 Even our Alaskan friends thought we were a little nutty for traveling up to this latitude so close to the winter solstice, but I think my friend Ed is right — Christmas really is one of the best times to be a tourist in Fairbanks. There's just something about this kind of outing that gives me a deep and purposeful sense of joy — although reasons why are difficult to parse with words. As a physical exercise, snow slogging is ridiculously tough; I'm never so tired after four hours of almost anything else. The cold wages a continuing battle, simultaneously burning my face with frozen breathcicles and freezing my thighs as sweat steams up from my core. People eventually figure this stuff out, but it takes time if you're out of practice. Still, I admit I enjoy being out of practice, feeling the cold shock and new discoveries every time. It's a visceral feeling of being alive — moving and breathing and cranking out heat in a place as quiet and cold as a tomb. And it's also a small taste of something beyond life, where breaths dissipate into swirling clouds, and the land is encased in ice, motionless and unmovable. Jay and Tom caught up to us about three miles from the trailhead, and just like that, our 24-hour cabin adventure was drawing to a close. We had been away from California all of 48 hours, and were already nodding our heads in agreement when the guys said about the projected negative-single-digit temperatures, "it's getting warm out." 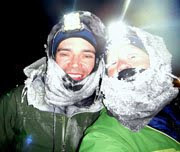 Beat squeezed in a good session of gear testing, setting up his tent in the wind and melting snow with an Esbit stove. 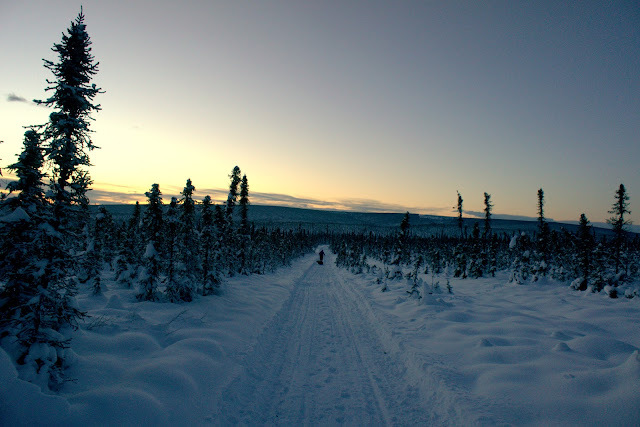 More testing will necessitate more trips as we finish up the year in the Far North. Weather reports have been one of my obsessions this week. I've been parsing data from all the major weather sites as a blanket of frigid air sunk over the valleys of Interior Alaska, trying to make sense of whether 62 below zero is even possible (forecasted by Wunderground) or what the recorded 52 below zero would even feel like, even for a few minutes, let alone while wandering the uninhabited wildernesses outside the small enclave of Fairbanks. Beat thinks it's silly I'm so scared. "We're just training. We can do what we want!" But what if I just want to curl up in blankets and drink a jug of hot chocolate? It is Christmas, after all. The cold snap that settled over the Lower 48 also grazed the Bay Area this week. On Wednesday San Jose reported a record low of 31 degrees. Brrr! The week of Solstice also marks the darkest time of year, with only nine hours and 35 minutes of daylight to work with here in Los Altos. 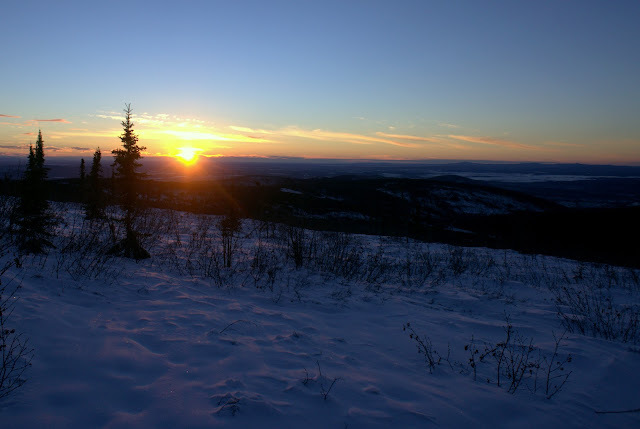 While our winter sun might be lazy, in Fairbanks it is well hungover — heatless and dim, the sun emerges at 11 a.m. and slumps over the horizon for three and a half hours before crashing back into darkness at 2:45. With a wet and windy storm on the forecast for Los Altos, I decided to set out for one last ride in the sun, to say my goodbyes. Living in a climate without significant temperature fluctuations has bred a lot of complacency into my routines. 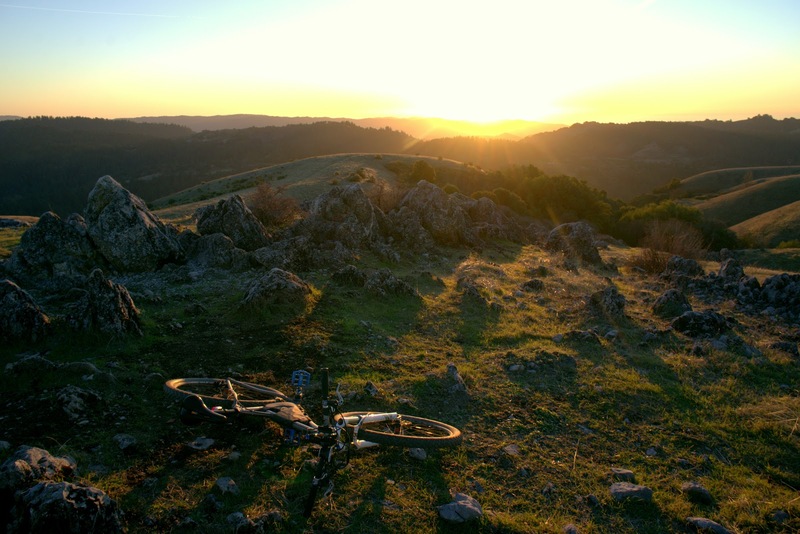 I donned my usual winter bike outfit — thin tights, long-sleeve shirt, gloves, hat, and a florescent roadie vest — and set out for the long climb up Monte Bello Road. My plan was to ride the singletrack on Black Mountain at sunset, and descend the road after dark. Near the top of the ridge, I started to see frost on the gravel, and then ice in the puddles. 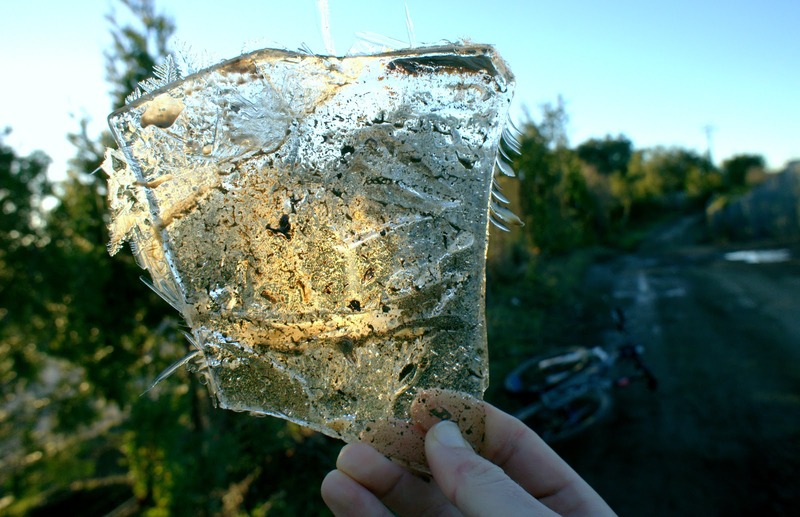 Thick ice, with new crystals forming around the edges. I'd felt a bit chilled, but I didn't realize that temperatures were already below freezing. "Hmm, I'm going to really wish I'd brought a jacket," I thought. But it was my last day in the sun ... I wanted to live it up. A screaming descent down the Bella Vista trail seemed to freeze the sweat layer on top of my skin, and I couldn't even recover the chill on the climb back to the summit. Already shivering at 2,700 feet with ten miles of steep descending in front of me, I tried running back and forth along the trail to recover my body temperature. But it wasn't happening, and the sun was fading, and I needed to get home. "Oh well, it's only ten miles," I thought. "It will probably hurt a little." The pain. I'd forgotten it. I used to go through this at least once a year as fall transitioned into winter in Alaska, and I was still learning to adjust my layering and effort levels. And, I typically go through it at least once a winter in California when I stupidly don't even bring extra layers on a cold afternoon. A temperature of 30 degrees with a riding speed of 20 mph has a windchill of about 17F, but it drives like a knife directly through the ventilation of bike clothing; might as well be naked. It's nearly impossible to work up any kind of effort on a winding paved descent, so there's little I can do but sit back and take the cold beating. First my feet, hands, and face go completely numb, then my legs and torso start to sting. I go through a mile or two of shivering and then stop, then I feel a kind of numbness that I can only describe as wearing a hundred pounds of cold meat like a suit around my body. Damn, I was really cold. Back at my apartment building, I couldn't use my hands to turn the key in the front door, so I had to wait for someone to open it for me. My own apartment door key necessitated a two-minute struggle, and once inside, I struggled to peel off all of my sweaty clothing, and immediately wrapped myself in all of the blankets I could find. Back in Alaska, I learned better than to jump in a hot shower right away. Yes, it does still hurt to transition from numbness to violent shivering, and finally to cold calm while wrapped in a blanket cocoon. But it hurts a lot more to go from half frozen to a hundred degrees in five seconds. You may have heard of the term "screaming barfies?" It's that pins-and-needles circulation pain that hurts to the point of dizziness and nausea. Either way, rewarming is seriously unfun. If only I did not have to learn this lesson every single year, even here in sunny California. But it's probably a good thing I got this out of the way before venturing into the danger cold. Bay area hypothermia just hurts; in the same amount of time, Interior Alaska hypothermia can kill. I'm taking my hard-earned annual lesson to heart as we head to Fairbanks on Saturday. Happy Solstice, sun. I will miss you. December is a cathartic month, because it's the time of year most of us reflect on our experiences and accomplishments during the past twelve months. Although racing is certainly not the only satisfying thing I've done in 2012, I did do a lot of it. With my last race of 2012 behind me, it's fun to look back on all of the events in a rather full year. People have different ways of ranking their race experiences. Rather than time or performance, I value races for how much they push me out of my comfort zone, force me to dig deep into my reserves, and reward me with renewed perspective and a better understanding of myself and the world around me. So, in that light, here are my 2012 race experiences, from the toughest on down. It was my first moment of clarity in a mind-numbingly tough day — while lingering over a cold chicken sandwich at the Subway in the town of Alpine, I finally glanced at a clock. "9:15 p.m.? That can't be right." But as hard reality set in, it made sense. It had been dark for an hour. With the exception of an hourlong breakfast, I had been riding, pushing, and struggling nearly nonstop since 4:45 that morning. This meant it had taken me sixteen hours to travel seventy miles. Sixteen hours! I pushed away the sandwich I had no appetite for, and called Beat. "What are you still doing in Alpine?" he asked me. "How much farther are you going to ride tonight?" shattered, and I genuinely didn't remember. Photo by Matt Slater. I didn't know what to say. What could I say? That I was completely shattered by less than two hundred miles of mountain biking during what was supposed to be a semi-relaxed tour? That I was pretty sure I was going to get a hotel room in Alpine, call my sister in Huntington Beach, and end this punishment? That in just 36 hours, the Stagecoach 400 had caused me to question everything about my mental toughness and physical capabilities? That earlier that morning, I had to wedge my knee between two boulders just to keep myself from tumbling down a near-vertical sandy slope while I waited for my heart rate to calm down? That I was pretty sure I was going to have to take two months off to recover my apparently demolished fitness? "I don't know, maybe twenty more miles," I replied with a resigned sigh. Few distances have ever felt so far. 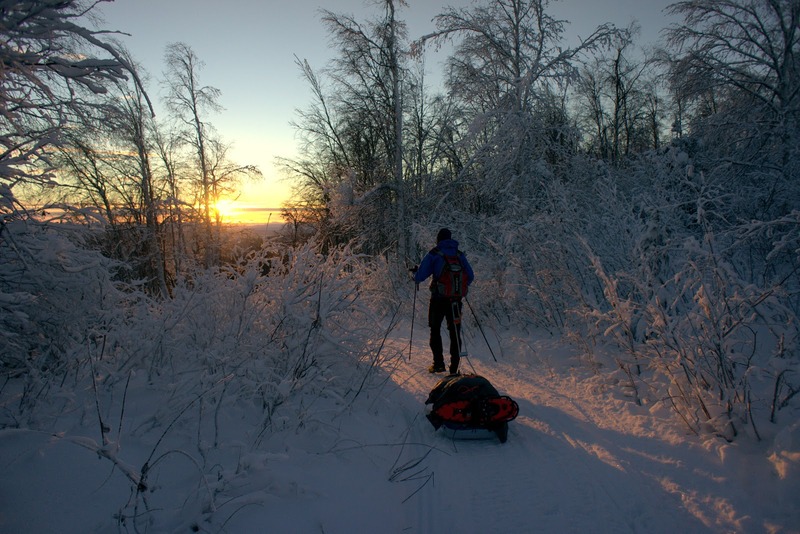 The Susitna 100 was possibly my most well-executed race yet — and it was still really hard. 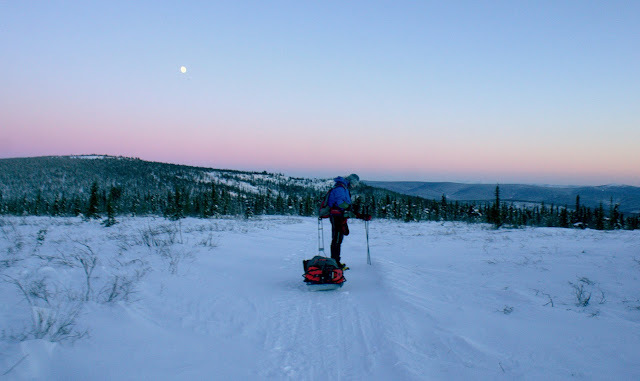 I set out with a plan for a 36-hour race that set a specific goal for the first checkpoint, a limit on the time I would spend at each checkpoint thereafter, and a consistent moving pace at or above 3 mph. I know, the pace sounds slow, but anyone who has dragged a sled across soft snow for a hundred miles understands the relative difficulty of winter trekking to everyday trail running — it's like a hundred miles of moderate climbing, with a huge weight hanging off your hips. I was well ahead of my schedule until mile 80, when I had a slow meltdown. On top of an energy bonk I incurred even though I had consumed more than 6,000 calories, I had also managed to steam-cook my feet inside my vapor barrier socks. Yes, in temperatures as low as 5 below zero, I actually boiled my feet in their own juices. The pins-and-needles pain was tear-inducing, but those tears may also have been a result of sleepy fatigue. Yes, there were tears. The last fifteen miles were slow and grueling, and I took any excuse I could find to stop and rest, but I still finished under my goal in 35:42. And now I wish I could go back because I'm convinced I could shave another three-plus hours off that, and would be excited to try. 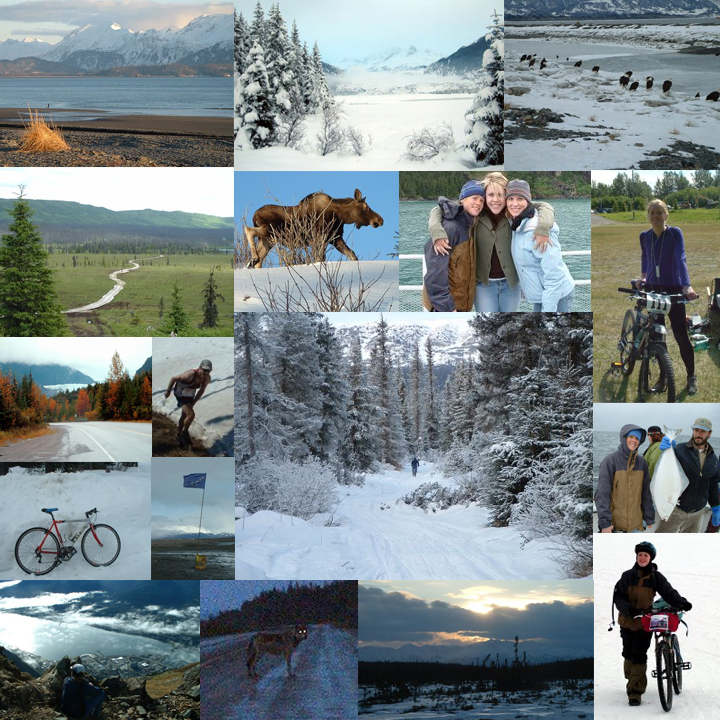 Alas, no Susitna 100 in 2013. Maybe the following year. Race report part one, part two, part three, part four. Most hated descent. Photo by the awesome Danni Coffman. 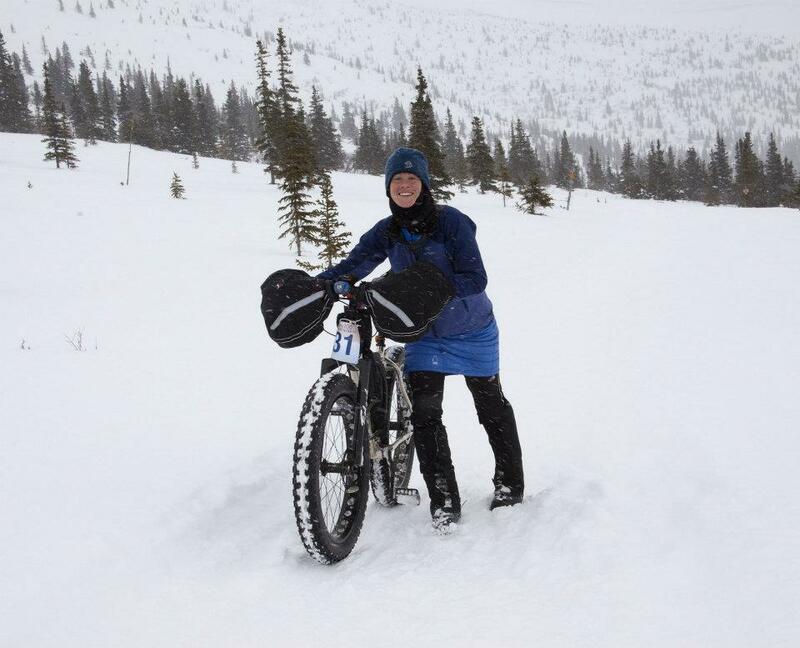 It seems ridiculous to place a hundred-mile-long mountain run with 23,000 feet of climbing below a fun snow bike race. But after back-and-forth consideration, I decided that the Bear 100 was, in many ways, less tough for me than the WM100. 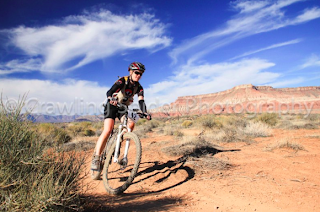 Much of that relative ease should be credited to my friend Danni, who came out to Utah and paced me for the last fifty miles, turning the "back-half suffer-fest" into a fun sleepover party. Besides a minor mid-race bonk, a few blisters, and the fact that I'm a timid and grumpy downhill runner, the Bear 100 couldn't have gone much better for me. I ate well, my feet didn't hurt all the much, and my legs felt strong for the distance. It's all relative, of course; I was in a decent amount of pain on the final downhill, but overall I was happy with my experience. I played it conservative because my overarching goal was to finish, which I did in 33:28. Someday I'd like to go back and push that under thirty hours. Someday. Race report part one, part two, part three. I had a grand vision for UTMB — 46 hours of running, hiking, and crawling over the rocky trails of the Alps in the shadow of Mont Blanc. There would be snowstorms, wind, rain, blisters, tears, sunrises, breathtaking vistas, redemption, and enlightenment. It was set to be my toughest single-stage endurance challenge yet. Seven hours before the race start, the rug was yanked underneath my dream. Truly dangerous weather forced a significant reroute, and the course was shortened to 110 kilometers with 20,000 feet of climbing instead of the original 168 kilometers with 31,000 feet of climbing. Still a tough challenge, but without the high mountain passes and clean loop that created a true journey around Mont Blanc, I could never recapture my excitement or motivation for UTMB. I came very close to registering a DNS, but once I started, I worked hard to finish. The true beast of 2012 UTMB was the mud, which made for treacherous footing and slip-sliding struggles on the consistently steep terrain. I finished in 22:57. Race report part one, part two. Beat and I raced the Laurel Highlands 70.5 because Beat's Iditarod mentor, Tim Hewitt, is one of the race directors. He invited us to visit his favorite trails in Pennsylvania, and the timing was also perfect for a "shakedown ultra." (Beat pointed out that if I didn't finish the Laurel Highlands, I didn't have much of a chance at UTMB.) I was finally getting my mojo back after a depleted spring, and had a great race at Laurel Highlands. Again, I experienced a mid-race bonk because I clearly haven't yet figured out how to manage nutrition during any run longer than fifty kilometers. So I spent miles 49 to 56 with low energy, stomach pain, and some vomiting. But a cup of ramen at mile 56 boosted me back to life, and I ran strong for the last 14.5 miles. I finished in 19:01. Race report. buy a photo package soon, but haven't yet. How entrenched am I in endurance racing that a 25-hour solo mountain bike race is this far down on my list of tough ultras? But as it has been for the past three years, Frog Hollow is a late-season, awesome race that Beat and I like to ride for fun. I didn't have any big struggles at Frog Hollow this year, but the experience did help me realize how timid I'm becoming on technical singletrack. The toughest aspect of the race for me was the crowds — being continuously passed by team racers started to wear on my nerves. I'd still go back, though. Frog Hollow brings together an awesome community, the course is gorgeous and surprisingly doesn't get old, and having it on the calendar would give me motivation to work harder on my technical riding. I finished in fourth place with thirteen laps, 169 miles. Race report. I ran eleven fifty-kilometer trail races this year. Since there are so many of them and I generally treat 50Ks as training runs, I'll just list them quickly here, in order of toughness. 1. 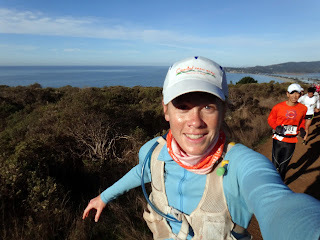 Mount Tam 50K, November 11, 7:18 — I was overtired and decided to race two women for thirteen miles. I still finished behind them but I truly left it all out there on the trail. 2. Steep Ravine 50K (winter), January 28, 7:16 — here's the part where I have to admit that Steep Ravine course is nearly identical to Mount Tam, only run by a different organizer. What can I say? These are tough trails. The January race was hard because it came after a peak week of training for the Susitna 100. 3. Ohlone 50K, May 20, 6:59 — This was my "breakout race" that finally lifted me out of my spring slump. 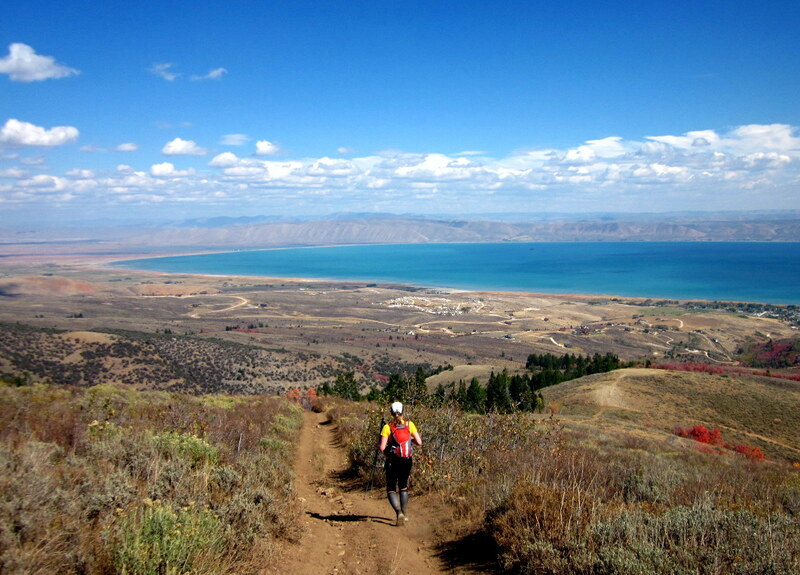 The course has 8,000 feet of climbing, and the trails are exposed to the harsh sun and hot, just hot. I finished 14th out of 67 women. 4. Diablo Marathon, June 2, 6:58 — Not technically a 50K, still with nearly 8,000 feet of climbing, and I took a wrong turn and logged an extra 2.5 miles at the end. 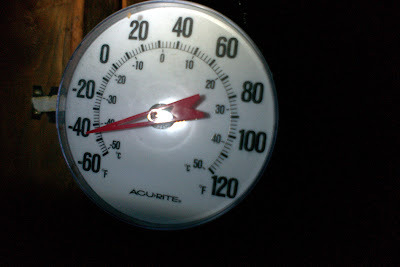 Temperatures were in excess of 90 degrees. Looking back, 2012 was my breakout year for running in the heat. I'm actually not that bad at it. 5. 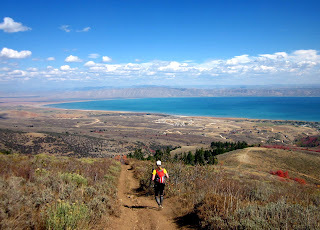 Coyote Ridge 50K, December 8, 7:09 — The bad luck race. I ran off course for three miles, and took a hard fall five miles from the finish. Miles 29 to 34 were a painful limp on the steepest section of the course. 6. Horseshoe Lake 50K, October 13, 6:32 — I was overtired so soon after my UTMB/Bear 100/Grand Canyon stretch, and then I was stung by a wasp at mile four. This race took place on my backyard trails, but it turned out to be a bit of a slog. 7. Steep Ravine 50K (summer), August 5, 7:05 — I completely forgot I raced this course in the summer. Wow, that's three times in one year. It must have not been too bad because I don't remember specifics of any struggles. It was the beginning of my peak week of UTMB training. 8. 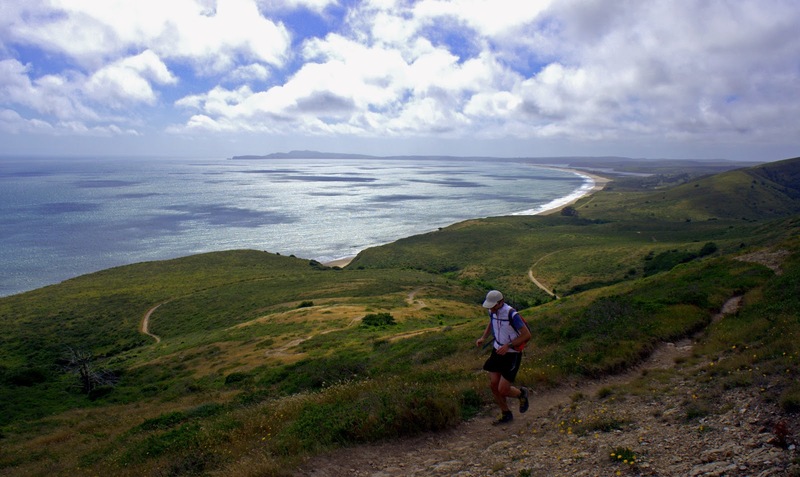 Crystal Springs 50K (summer), August 11, 5:55 — Temperatures reached 95 degrees on Skyline Ridge that afternoon, and I was running my second 50K in a week to sandwich long days of running and mountain biking during the big heat wave of the summer. I was quite pleased with the 5:55 finish. 9. Brooks Falls 50K, January 22, 6:26 — A Susitna 100 training run in the wind and rain on the hills above Pacifica. 10. Woodside Ramble 50K, December 15, 6:08 — A fun run in the cold rain. A sore hip made for some tough miles in the middle, but for the most part I felt great. 11. Crystal Springs 50K (winter), January 7, 5:51 — My first race of the year, and also my 50K PR. It seems strange to put it all the way at the bottom of this list, but the reason I logged my best time is because I had a fairly flawless race. This is one of the reasons I think I could put in a decent time if I specifically focused on racing a trail 50K, but I have yet to commit to that. We'll see what 2013 brings.